Sunnyside, Newfoundland, set out to improve the quality of the potable drinking water provided to its residents, which was characterized by high colour and DBP concentrations that exceeded Health Canada’s Guidelines. With a landmass comprised largely of resistant bedrock that has been overrun by glaciers, the Province of Newfoundland and Labrador has numerous small, shallow, irregular ponds and wetlands, that are some of the most challenging sources of drinking water in the world. High debris and dissolved substances, organics and metals, found in Newfoundland’s source water create challenges. Debris contaminates distribution networks, contributing to boil water advisories (BWAs). In fact, over a third of the Province’s communities are on a BWA at any given time. But surface water challenges present another issue. Over 120 communities in Newfoundland exceed Health Canada’s recommended Guidelines for Canadian Drinking Water Quality for disinfection by-products (DBPs) in their drinking water. The province has the highest per capita rate in Canada of some cancers, such as bladder, stomach and colorectal, which are directly linked to trihalomethanes. The total rate of cancer per 1,000 people is over 25% higher than the highest country in the world. These rates are expected to increase 40% in the next 15 years. 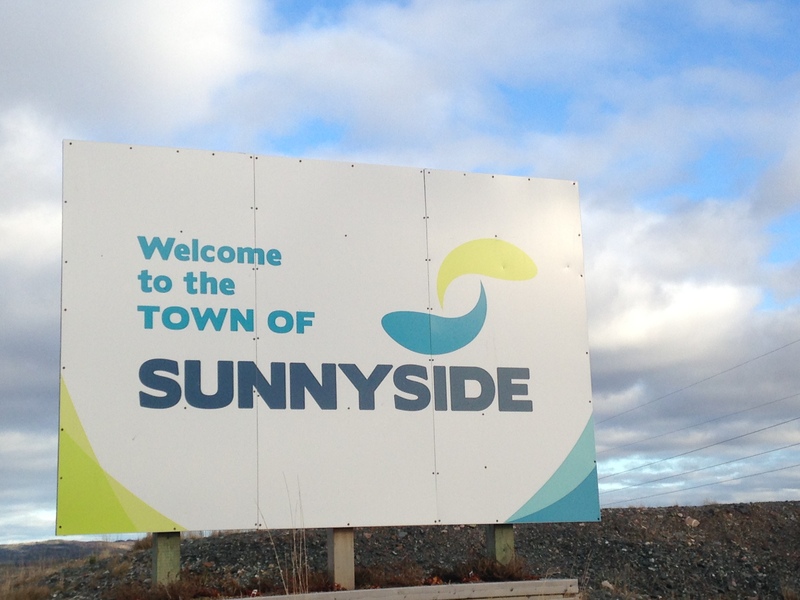 The Town of Sunnyside, Newfoundland, set out to improve the quality of the potable drinking water provided to its residents, which was characterized by high colour and DBP concentrations that exceeded Health Canada’s Guidelines. The colour of treated drinking water was largely an esthetic issue. But the presence of high quantities of organics, including humic and fulvic acids, meant the water reacted poorly with chlorine and yielded high concentrations of DBPs. 2002-2007. Chlorine gas. Unable to maintain chlorine residuals throughout a long distribution system, and high DBPs. 2008-2015. Mixed oxidants; Miox. Corrected the residual problem, but high DBPs. Mean concentrations of DBPs, including THMs and HAAs, from before and after installation of the Miox system exceeded the Guidelines. The Miox chlorine generating system was installed in 2008 as a replacement for a chlorine gas injection disinfection system. The Town attempted to combat excessive DBP concentrations by lowering hydraulic retention times in distribution, through continuous flushing of water from one to two fire hydrants. While this should help to mitigate DBP concentrations in distribution, excessive levels remained in the drinking water throughout the monitoring periods. SanEcoTec’s AVIVE™ water treatment system uses a form of stabilized hydrogen peroxide to stop the formation of DBPs caused by chlorine, and to provide improved disinfection throughout the water distribution network. Achieve water quality within Health Canada Guidelines for Canadian Drinking Water Quality. Maintain consistent improved water quality at all times. Sustain satisfactory disinfection capability at all points in the distribution system. Stabilized hydrogen peroxide was introduced in early September 2015. Within two weeks, DPBs were within Health Canada’s Guidelines. Within two months, the disinfectant residuals were at satisfactory levels throughout the entire distribution system. The location of sodium hypochlorite dosing in the Town’s chlorination building was changed to take place as water entered the plant, rather than when it exited. Under the new system, primary disinfection CT values were achieved as water traveled through the building. Then, following CT, stabilized hydrogen peroxide was injected into the water, just before it left the building. Stabilized hydrogen peroxide mitigated formation of DBPs by quenching the free available chlorine primary disinfectant present in the water. Additional quantities of peroxide then remained in the finished drinking water, to function as a secondary disinfectant residual throughout the distribution system. The project demonstrated that stabilized hydrogen peroxide used as secondary disinfectant was effective at lowering chlorine disinfection by-products in treated water to below Health Canada Guidelines. The system was also capable of maintaining a residual disinfectant target concentration of between 1 ppm and 8 ppm throughout distribution. Primary disinfection continued via injection of sodium hypochlorite (NaOCl), generated using the Miox system. The Town of Sunnyside has authorized the project to proceed to the optimization stage and to add filtration. The Optimization Plan (currently underway for May 2016 installation) involves adding to the multi-barrier protection with chlorine (primary disinfection), pH control, and flocculant followed by a dual filter system (a dual-media filter of anthracite, one layer of sand, and gravel) to remove organics, inorganics and tannins from the water before injection with the stabilized hydrogen peroxide (secondary disinfection). Colin Guthrie, PhD., is with SanEcoTec Ltd. This article appears in ES&E Magazine’s April 2016 issue.